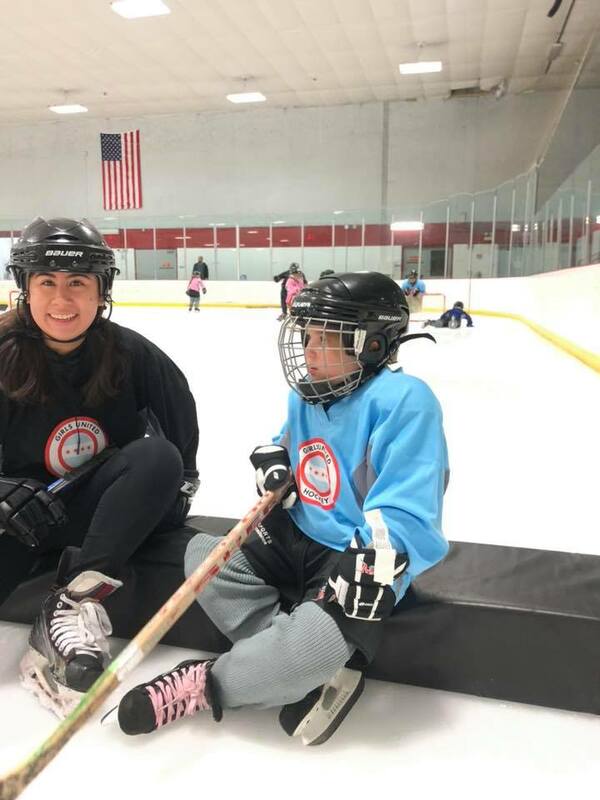 Tracy Cimba had been keeping an eye on the number of players registering for the new Girls United Rec Level (GURL) Hockey, aka Girls United Hockey, program based in the suburbs of Chicago. The first week in January the total girls who had signed up was 35 for two locations. But within one week, that number spiked to 75. “The success has exceeded our expectations,” Cimba said. “I think obviously sometimes you go into things with lower expectations and hope for the best. We were hoping to get 20 girls at each location. There were nearly 50 girls participating at the south location, Oaklawn Ice Arena. Another 30 girls signed up for the west location, Carol Stream Ice Arena. The goal of Girls United Hockey is to offer a program for girls only, keep the cost low, have the ability to borrow equipment and have a low commitment at just one hour per week. 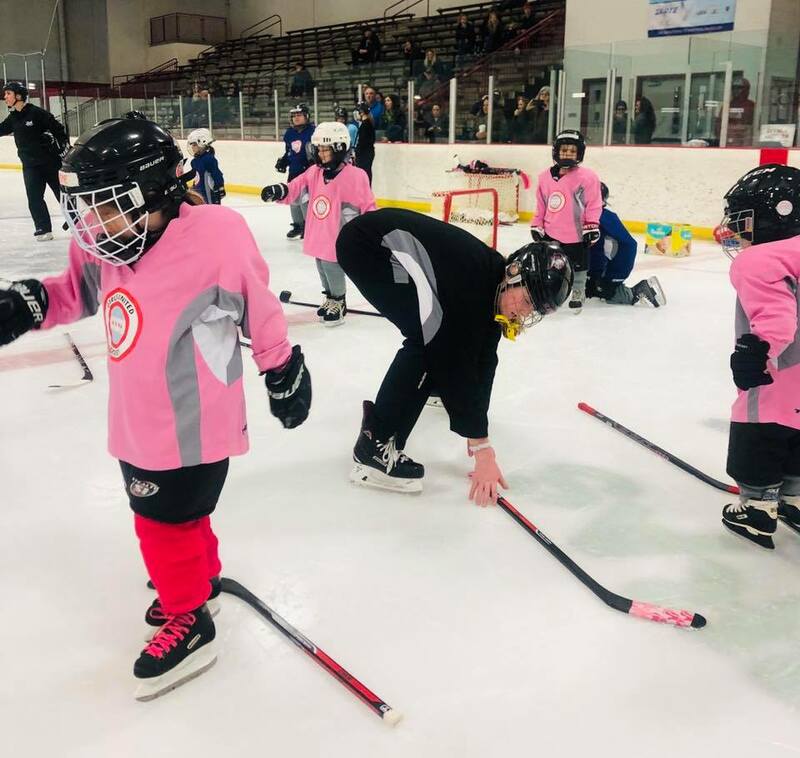 “I think overall the feedback we’ve been getting is we were spot on in terms of breaking down a lot of the barriers that stopped people from signing their girls up for hockey,” said Cimba, who noted registration is closed the rest of this eight-class session because of the popularity. There was an equipment fitting at both locations the weekend of Jan. 5-6, and the following weekend was the first on-ice sessions. The equipment fitting has been essential. It allows parents to not have to go out and pay for equipment for their young players. “They don’t want to buy it because their fear is, ‘I’m going to buy $200-300 worth of equipment and I get my daughter out there and she hates it,’” Cimba said. In all, 76 girls ages 3-10 got onto the ice that first weekend. The two age levels — #funGURL, which is ages 4-8, and #superGURL, ages 6-10 — were on the ice at the same time. The first session followed USA Hockey’s American Development Model (ADM) plan and gave the girls a lot of time on the ice. The girls broke into three to four sections — depending on their age and skill level — and were aided by adult instructors Brit Volini, Julie Sapio Sochacki, Carla Pentimone and Kelly Bozelka. The student coaches were also a big help. There was one-on-one time available for each participant. Cimba has loved all the positive feedback flooding in from parents. With so much interest in the program, parents are requesting adding a third location in the north suburbs. Organizers are looking into that as well as adding a spring/summer program. Even after just one week of on-ice training, parents were appreciative of the new Girls Hockey United. Cimba said it’s been a great collaborative effort between staff and coaches to make sure everything came together without a hitch. Illinois Girls America’s Showcase Team Ends Showcase Appearance with Big Win!